But, first we travel to the Navajo Nation in the American Southwest to learn more about its shrinking population. DOUG JOHNSON: The two thousand ten nationwide population study in the United States shows continuous growth in America’s minority population. Native American populations in the Southwest are among the expanding groups. However, the largest American Indian reservation in the country shrank in population by three percent. We visited a town in the huge Navajo Nation to find out where people were going. Jim Tedder has the story. JIM TEDDER: Ganado, Arizona, is in the central part of the sixty-seven thousand square kilometer Navajo Nation reservation. The inside of Ganado High School is busy with children hurrying to classes. But the rooms are not nearly as crowded as they once were. Principal Tom Rowland says he is losing about one hundred students a year. Evelyn Begay has worked in the school district for twenty-eight years. She thinks she knows why the population is falling in Ganado schools. Ms. Begay has five adult children herself. All went to Ganado High School. They each attended Arizona State University, in Phoenix. And all five stayed in the Phoenix area after they graduated. Strong winds blow across the one highway that passes through Ganado. There are few local industries in town. The largest employers are the hospital and the school system. That is why the teachers and administrators at the high school advise students to leave the reservation after graduation. Nathan Brady is on the staff at Ganado High School. Then when they have their university degree, he says there is no reason to return. That is what Nathan Brady did himself. He graduated from Ganado twenty years ago and joined the Navy. But just recently he returned to the reservation although he had been offered a duty station on the island state of Hawaii. A lot of young Navajo feel the same. The reservation is far from city life and the economy is lacking, but it is still home. Marden Kinlichee is one of them. But Marden Kinlichee has a plan for her return. She just graduated from Ganado High School and leaves for New Mexico in August. She plans to study nursing at the University of New Mexico, in Gallup. She knows she can find a nursing job near home when she graduates. She says she can help her people that way. The Navajo Nation population is getting older. More than sixty-five percent of the population is over eighteen years old. That is up seven percent from ten years ago. But people in Ganado are not that worried about what many people call the brain drain. They believe the land, culture and language will bring their young back when they are ready. DOUG JOHNSON: Our listener question this week comes from Mongolia. Tsogt Sharav has been listening to VOA Special English since two thousand four and wants to know more about coal mining in the United States. The United States produces about half of its electric power from coal. America is the second-largest producer of coal after China. Coal is mined in half the states, but Wyoming mines the most, followed by West Virginia, Kentucky and Pennsylvania. The United States gets about two-thirds of its coal from surface mining rather than underground mining. Surface mining is the name for different methods that are used to remove coal that is less than sixty meters underground. The United States has about eighty-seven thousand coal miners. The jobs pay well, especially for the poor communities where mines are often located. But the job can also be dangerous. The government says more than one hundred thousand miners were killed between nineteen hundred and last year. Coal mining deaths have decreased sharply. But last year forty-eight miners were killed. 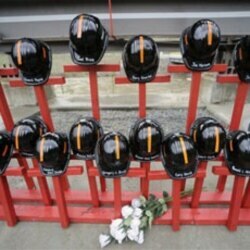 Twenty-nine of them died in an explosion at an underground mine in West Virginia on April fifth, twenty-ten. It was the deadliest coal mining disaster in the United States in forty years. This week, a federal agency, the Mine Safety and Health Administration, released findings from its investigation. It says the explosion at the Upper Big Branch mine could have been prevented. The agency says there was a huge coal dust explosion that started with a limited amount of natural gas. It says the methane was likely ignited by mining equipment. Massey Energy owned the mine. It blamed the explosion on a sudden release of a large amount of natural gas that could not have been prevented. Mine safety agency official Kevin Stricklin says Massey kept two sets of records to try to hide safety problems from inspectors. A final report from the agency is expected later this year. A criminal investigation by the Justice Department continues. Massey is now owned by another company, Alpha Natural Resources. 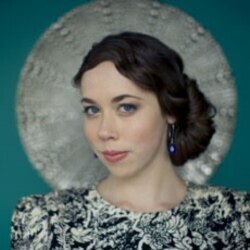 DOUG JOHNSON: Twenty-year old Sarah Jarosz is a singer, songwriter and musician. She plays the guitar and other instruments, including the mandolin and banjo. Her music has a strong American bluegrass influence. Sarah Jarosz just released her second album. With this album, she moves beyond bluegrass to explore other musical sounds. Critics say she is one of the most promising young singer-songwriters at work today. Barbara Klein has more. Sarah Jarosz grew up in the town of Wimberly, Texas, near Austin. At the age of ten Sarah began playing the mandolin. Soon, she began to perform at bluegrass festivals. Sarah Jarosz’ first album, “Song Up in Her Head,” came out in two thousand nine. It was heavily influenced by traditional bluegrass music. She is now studying music at the New England Conservatory in Boston. She has said her studies have helped her to push her musical boundaries. Sarah Jarosz wrote nearly all of the songs on the new album. She performs two works by other artists, including Bob Dylan. Here is her version of “The Tourist” by the British rock band Radiohead. DOUG JOHNSON: I’m Doug Johnson. Our program was written by Chris Cruise, Dana Demange and Caty Weaver, who was also the producer. Join us again next week for AMERICAN MOSAIC in VOA Special English.